I have been treating patients with Invisalign® for almost 10 years. Over that time, I have learned a great deal about moving teeth with plastic aligners. In addition, I have also made just about every practice management mistake there is. Here, I have compiled my top 10 Invisalign management pearls that I learned the hard way—by trial and error. I share them with you so perhaps you won’t make the same mistakes I have and can make your day-to-day practice just a little bit less stressful. Handing out an emery board to all new aligner patients is a great way to empower patients and reduce emergency phone calls. 1. Change attachments to “same color as tooth” before showing ClinCheck to patients. 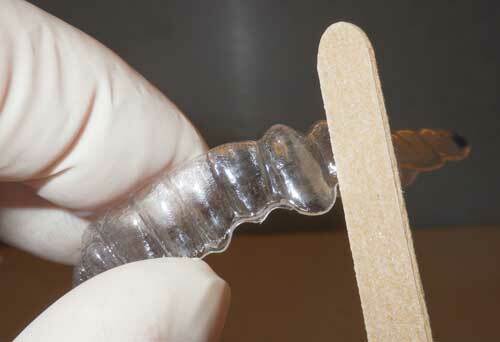 Attachments, especially optimized attachments, are custom designed to achieve the desired tooth movement. They are absolutely necessary. Nevertheless, I see many orthodontists who are coerced by their patients into removing anterior attachments for aesthetic reasons. Not a good idea! Omitting an attachment, especially on stubborn maxillary lateral incisors, can lead to nontracking issues. To reduce the chance of a patient objecting to attachments when viewing their ClinCheck®, change the attachment to tooth color on the ClinCheck by going to File> Settings>Display>Attachments>Same as Tooth. When viewed on a ClinCheck, tooth-colored attachments are much less noticeable, and patients are less likely to object to their presence. 2. Talk about refinements early and often. Early on in my Invisalign experience, I made the mistake of telling a patient that they would need “a refinement.” No problem, right? Wrong! When I delivered the patient’s refinement aligners, all 12 stages of them, the patient was upset. Why? “You said I would need A refinement!” In the patient’s mind, “A refinement” meant one stage of aligners. I thought about this, and realized that the patient had a good point. Learning from that experience, the possibility of multiple refinement series is discussed with each Invisalign patient at the initial consultation and frequently thereafter. Phrases such as “We get your aligners in batches. You will need multiple batches of aligners during your treatment.” or “At your next visit, you will be getting your next bunch of aligners,” are much more effective, and help to set reasonable expectations for the patient. To reduce patient concerns about IPR, Glaser strongly recommends explaining the entire process on three separate occasions before performing the procedure. 3. Explain IPR three times. 4. Keep compliance indicators a secret at first. Compliance indicators, the little blue dots on Invisalign Teen® aligners that gradually fade if the aligners are being worn full time, can be great motivational tools. We like to call them “lie detectors” in our office. It’s one of the best reasons to order Invisalign Teen for ALL patients including adults. Here’s the trick: Don’t tell patients what they are at the first aligner delivery appointment. At the next visit, ask the patient to remove their aligners and inspect the compliance indicators. If they have faded from blue to clear, praise the patient for excellent aligner wear and share in the joy! If, however, the compliance indicators are still bright blue, tell them what the compliance indicators are for and explain to the patient and parent that the aligners are not being worn enough to achieve the desired result. In addition, refer to tip #5 below. 5. 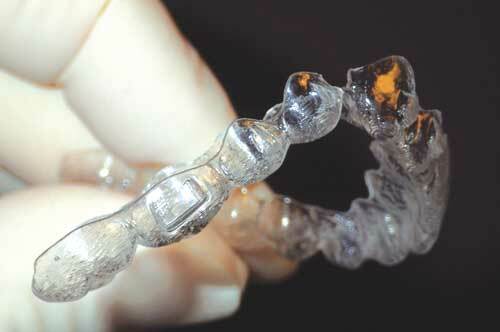 Don’t give out more aligners if the patient has not been compliant. You read that correctly. Patients must understand that their teeth will not get straight simply by having aligners handed to them—22 hour per day wear is absolutely critical to achieving good results. In any situation where the teeth do not appear to be tracking and the compliance indicators are not faded from blue to clear, we instruct the patients to continue wearing the same set of aligners and return for an aligner check in 1 week. Is it punishment? We try very hard not to scold, lecture, or denigrate our patients. Nevertheless, they usually get the message. There have been situations in my office where patients become upset, and even insist they have been compliant even though it is obvious they have not been. In these situations, to keep the peace, we say, “Some people’s teeth move slower than others. Let’s have you switch aligners every 3 weeks instead of every 2.” I think it’s a nice way of getting the message across that compliance is necessary without being accusatory. We don’t want those bad Yelp reviews. Patients are repeatedly instructed to always arrive to their appointment wearing their current aligners. We want to check for fit as well as compliance. Any patient who shows up without their aligners? HUGE RED FLAG! More often than not, there’s something fishy going on. Calmly ask the patient to retrieve their aligners from the car because you want to check the fit. More often than not, a most uncomfortable silence will ensue. Typically, the patient will have no choice but to come clean. This is an excellent opportunity for sympathetic education, explaining the importance of consistent aligner wear. Note in the patient’s chart that they forgot their aligners and emphasize that they must have them at their next visit. Seeing a lot of broken aligners? More than likely, patients are flipping them on and off while in the mouth. 7. Aligners broken into several pieces are being flipped on and off in the mouth. Guaranteed! If a teen patient presents with their aligner in multiple pieces, it is a virtual certainty that they are playing with their aligners—repeatedly flipping them out with their tongue and biting them back into position. This habit will initially distort the aligners, reducing their effectiveness, and rapidly lead to fatigue and failure of the plastic. Instruct the patients that aligners should never be bitten into position; rather they should always be placed with finger pressure to reduce the likelihood of distortion or breakage. In cases where the patient cannot stop the habit, we will order additional aligners with the rate of movement reduced by 50%, and have the patient switch weekly to keep ahead of the breakage. A recent change by Align Technology Inc now allows for unlimited additional aligners for 5 years, so there should be no issue with additional fees. 8. Hand out an emery board to all new patients and teach them to sand out rough spots. Handing out a simple emery board to all new Invisalign patients is a great way to reduce emergency phone calls. We instruct new patients to use the emery board to smooth the aligners in any areas that may feel rough to their cheeks or tongue. These instructions help patients to have realistic expectations regarding aligner comfort, especially at the beginning of treatment, and empower them to handle minor irritations on their own. We always say, “If you can’t resolve the problem on your own, please do not hesitate to give us a call.” This way, the patient does not feel like we are ushering them out the door. 9. 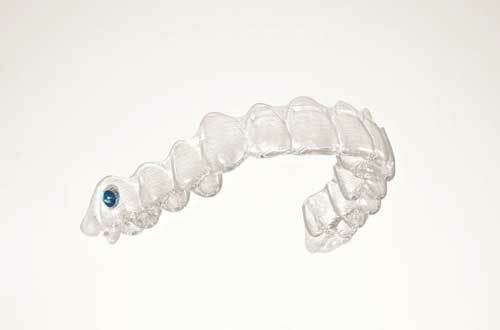 Give patients unused overcorrection aligners as emergency retainers. I will routinely prescribe overcorrection aligners for incisor rotations. 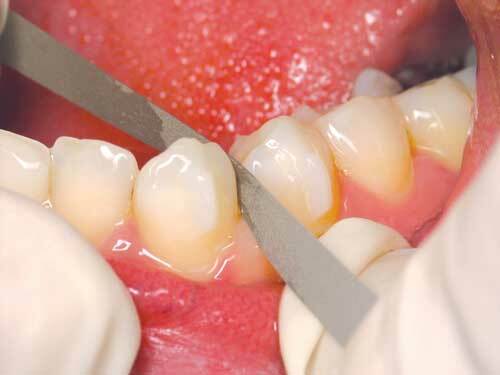 In some cases, however, the teeth align ideally without the need for overcorrection. In these cases, don’t throw the three overcorrection stages away! Why? They are great emergency retainers, why throw them away? We give the patient the three stages of overcorrection aligners at the same appointment when the final retainers are delivered and instruct them to use them as temporary emergency backup retainers if their final retainers are lost, broken, or if Fido chews them up. This is less important when you use Vivera retainers. 10. Order Vivera from first overcorrection stage. Speaking of Vivera® retainers, from Align Technology Inc, it’s awfully nice to give the patient four sets of retainers, and that’s exactly what you get when you use Vivera. Vivera greatly reduces the number of retainer emergencies, and they happen to be an excellent, durable retainer. Here’s a trick I learned from my friend and fellow Align faculty member William Kotteman, DDS, MS—order your Vivera retainers from the first overcorrection stage. Kotteman follows Zachisson’s concept of “11/10ths” orthodontics, meaning routine 5° overcorrection of incisor rotations in three overcorrection stages of aligners. Once the patient has completed wearing their last set of overcorrection aligners, order the Vivera from the first overcorrection stage—with just a slight hint of overcorrection. As we know, rotational relapse is a frequent issue after completion of orthodontic treatment, and slightly overcorrected Vivera retainers can help keep teeth in the proper position post-treatment, especially if patients are not wearing the retainers as often as we would like. 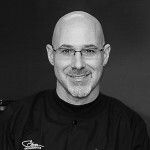 Barry J. Glaser, DMD, received his doctorate in dental medicine from The University of Pennsylvania School of Dental Medicine and earned his Certificate of Advanced Graduate Studies in Orthodontics from Boston University. He served as associate director of orthodontics at Montefiore Medical Center in New York City from 1992 to 1995. He has been in private practice in Cortlandt Manor, NY, since 1994. Glaser was an early adopter of Invisalign Teen and has extensive experience treating teens and adults of all malocclusions with Invisalign.